Life isn’t perfect. It’s a blend of joy and sorrow But whatever life leads you. It’s because of God’s purpose! 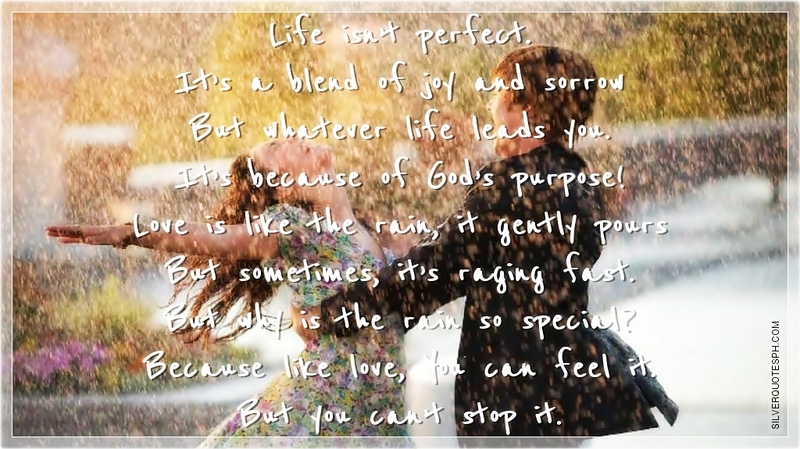 Love is like the rain, it gently pours But sometimes, it’s raging fast. But why is the rain so special? Because like love, You can feel it. But you can’t stop it.